Professional commercial glass installation & glazing contractors since 1976. 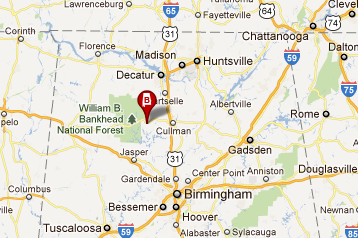 Rely on the experts at Bama Glass for all your storefront and commercial glass needs. We specialize in storefront and commercial glass applications, and we take pride in our quality workmanship, affordable rates, and excellent customer service. We have over 50 years total experience in this industry, and strive to provide only the best installations in this area. We are committed to excellence and provide top-notch customer service that sets us apart from the rest. We are your source for top-of-the-line commercial glass installations. We offer a 1 year warranty on the materials and installation. Our locally owned and operated company has been in business since 1976. We are dealers for most major brands of architectural aluminum door and window products. Our pledge is to do quality work with the materials as specified.